The Indonesian Government has released permits to import 200,000 head of feeder cattle from Australia over the next three months, providing a huge boost to northern Australia’s live cattle trade. New Trade Minister Thomas Lambong has acted on a recommendation from the nation’s Ministry of Agriculture, to drastically increase the number of import permits in Q4 compared to what was allocated in the third quarter (Q3). Ships are due to leave Darwin Port “within the next week” and some exporters have locked in feeder steers for over $3 a kilogram. Tracey Hayes from the Northern Territory Cattlemen’s Association says it is a record price for the live cattle trade out of Darwin. “As far as I’m aware the $3/kg mark hasn’t [been reached before], and I understand there’s even $3.05/kg on the table at the moment,” she told ABC Rural. Ms Hayes said there are plenty of cattle on the floodplains near Darwin “ready to go”, but finding 200,000 head over three months will be a challenge. Ms Hayes will travel to Jakarta next week to continue discussions on reinstating the system of issuing permits on an annual basis. Dozens of tiny recording devices have been placed in remote parts of Western Australia to help keep the state starling free. While quite common in other parts of the nation, WA has managed to keep most of the pest birds out, thanks to decades of eradication programs. Starlings pose a major threat to agriculture, having the ability to gorge on grain and horticulture crops, foul wool and water and displace native birds. WA’s Minister for Agriculture and Food, Ken Baston said the devices will record for half an hour at dawn each day and software will help determine if there are any starlings in the area. “These little birds are what I call very destructive and it is very important that they are kept at bay from this state,” Mr Baston said. Dr Susan Campbell, from the Department of Agriculture and Food, has been tasked with sorting through all the potential starlings’ recordings. Are sustainable houses worth more? Jeremy Spencer built a house for his family and parents to move into last year. The three-bedroom, two-storey house in Seaholme, in Melbourne’s west, meets several needs – it’s accessible in its design, with wide passageways, ramps and counter-hung benches that permit his wheelchair-bound father to fully participate in the family life. It’s also sustainable. The house is built with materials such as a recycled concrete-and-glass slab and recycled bricks on the inside to create a thermal mass that absorbs northern sun in winter and diffuses it at night. It also has a solar panel system on the roof. Spencer’s house cost $525,000, or $2200 per square metre and it’s one of a range that his design and construction firm Positive Footprints builds. So how much more does sustainability cost? 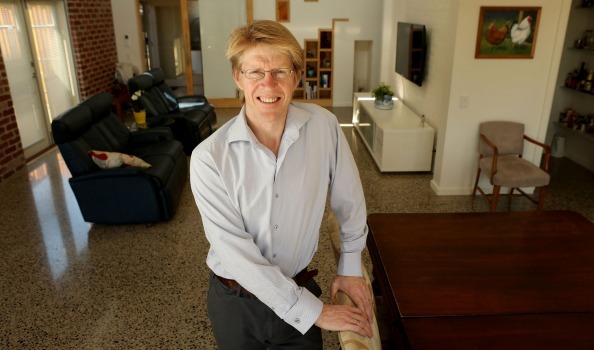 “With all houses we’re putting about $20,000 of extra stuff in,” Mr Spencer said. Read the full article and more on sustainable housing here. The Morning Bulletin, 10 September 2015. According to Regional Australia Institute chief executive Jack Archer, a sophisticated strategy is needed to help regional councils, like those in Central Queensland, with the right resources and to build the confidence to engage with Asia. “We’ve got great produce, we’re clean and green, but so are a lot of other countries,” Mr Archer said. His comments came in the wake of a forum in Canberra last week to examine ways rural towns could tap into agriculture and tourism opportunities stemming from Asia’s growing middle class and dining boom. They were supported by Growing CQ project officer Anne Stunzner who said the CQ region had realised that a number of commodities and value chains linked across the region. Growing CQ through the Central Queensland Region of Councils – Woorabinda, Livingstone, Rockhampton, Gladstone, Central Highlands and Banana – aims to promote regional priorities and investment opportunities.